The Cambro 1252SLINB250 StoreSafe® food rotation labels are ideal for labeling contents and dates on food boxes. Under hot or cold water, the label and adhesive dissolve in 30 seconds. It is safe for septic and sewer systems and does not leave a sticky residue behind. It can withstand temperatures from -40 to 200 degrees Fahrenheit and is safe in the microwave or dishwasher. 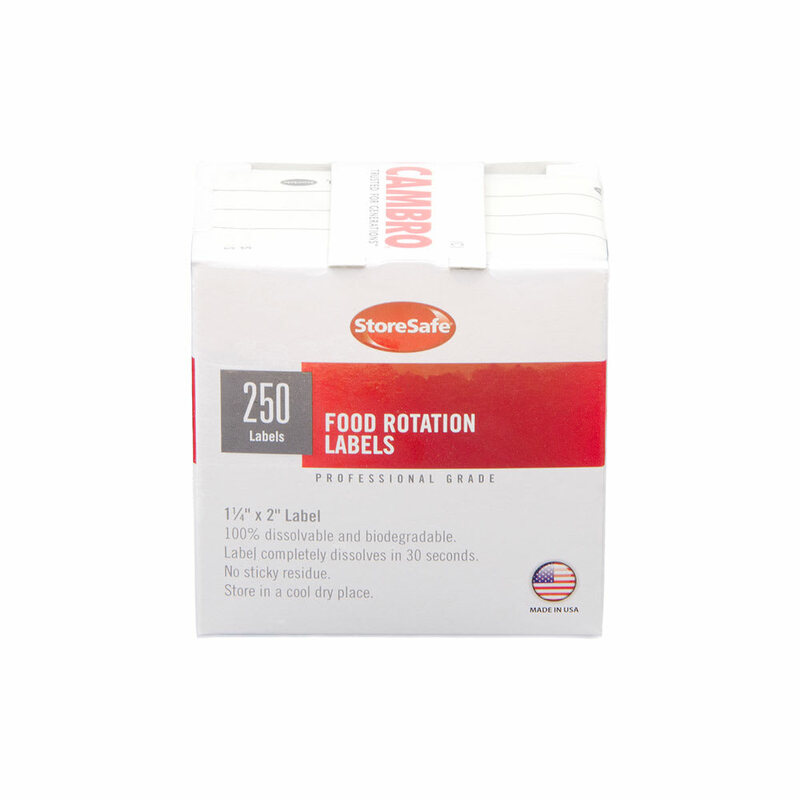 Learn more about food rotation labels by reading our guide on Cambro food labels.